Summers in Texas can be brutal! I want to give you some tips on how to market your business through the brutal summer, so you can take advantage of the scorching hot season. 1. Help people stay cool! Here in McKinney, TX it’s going to be reaching 100 degrees soon! You want to think about how you can help your customers through tips and information that’s of value for staying cool! All of us in the Metroplex are looking for ways to stay cooler! If your business is anything to do with caring for animals, whether you’re a veterinarian or a doggy day care type of place, you might offer tips on how to keep your furry friends cool in the summertime. If you have an air conditioning company—well, that’s easy! If you’re an auto repair shop, maybe talk about how to maintain your vehicle’s air conditioning to stay cool in the car. Think about the problems and issues that people go through here in the summer in Texas. It’s usually all about, “How do I stay cool?” So no matter what your industry is, think about how you can give tips to help people in this heat. Maybe you could share some travel or vacation tips. For instance, if you sell window treatments, you could talk about how to handle your privacy and security issues when you go on vacation. Your customers need to have something in their homes to show that they’re home, to cut down on the risk of burglary. If you’re an A/C repair company, talk about how your clients can set their air conditioning at a certain degree so that when they come back from vacation they’re not facing a ridiculous electric bill. If you’re a transportation company, talk about how you can help get people to and from the airport. Travel and vacation trips are great for local businesses to share! Lead with value! If they need your services they’ll call you, but this is a great way to keep your name in front of people during the summer. A lot of people, including business owners, go on vacation during the summer time. You want to use social media to stay in sight, in mind when you’re away, to keep marketing your business. Maybe your peak business time is not summer. Maybe you’re a Christmas light company and your peak is not until the winter months. Still, you can stay consistent with tips and things of interest during the summer time. 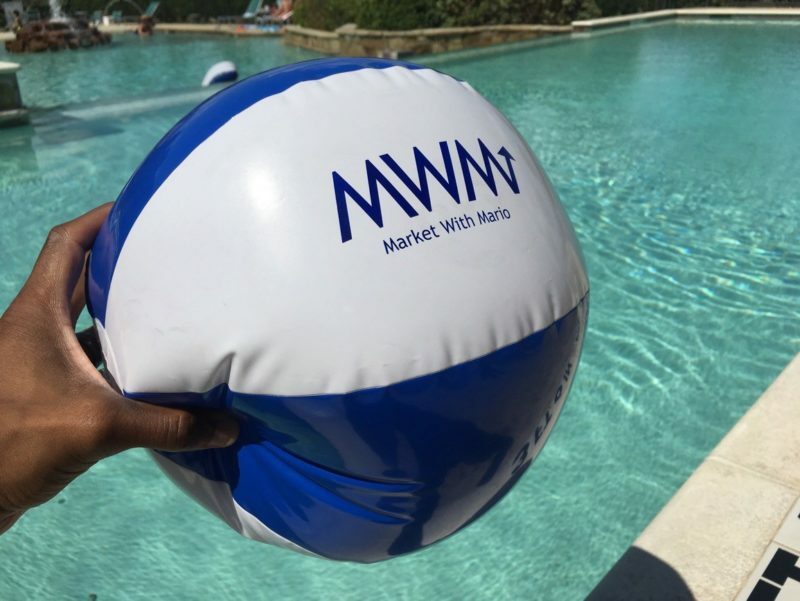 That’s one of the things we love doing for our clients is that the owner can go on vacation, while we stay here and continue to market the business! Think about what local events are going on in the community, and how can you be helpful? Around here we have the Allen celebration for Fourth of July. In McKinney, it’s Red White and Boom! There are different places to go swimming, splash pads, water parks, etc. You can talk about local zoos, aquariums—anywhere a family might go to have fun in the summer. Think about ways to help people who just moved here get to know the area. When you put out information like this your business is seen as trustworthy, helpful, and familiar. Remember, people like to do business with people they know and trust! I hope these tips help you to be able to market your business effectively over the summer. And most importantly: Drink plenty of water, and stay cool!